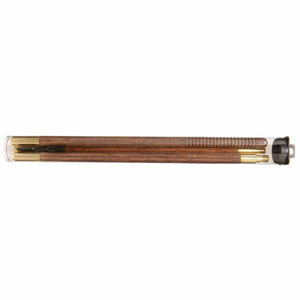 Beautifully constructed, three-piece laminated hardwood rod with solid brass hardware. These quality crafted laminate rods will not warp or split like many lesser grade imported wood rods. Each rod is packaged in a reusable tube with a slotted patch holder.